Brazilian side Luminosity Gaming went through to the finals of $1m CS:GO tournament MLG Columbus last night after coming back from not one but two hefty deficits against Team Liquid. Inspired to make your own clutch highlight reels? Here are the best FPS games on PC to try out your snaps and flicks. In a best-of-three semi-finals, Luminosity started badly on both Mirage and Cache allowing their opponents to get to 15 rounds quickly, needing just one more to win. In total, Liquid had 15 total Match Points across both games, holding 15-9 and 15-6 respectively, before Luminosity won every single one of the remaining rounds to tie the games and eventually win in overtime. The turning point of the first match, on Mirage, came when Luminosity’sMarcelo “coldzera” David was left alone to defend the B site. Liquid chose that round to do a full rush through the apartments onto the site, which would have been enough to overwhelm a single sniper caught out defending solo. Instead, coldzera killed four of the rushing team, two of them with a single shot, while jumping and without scoping in. It will probably be the best play you see all year, and of course a jumping no-scope double kill HAD to happen at an MLG event. 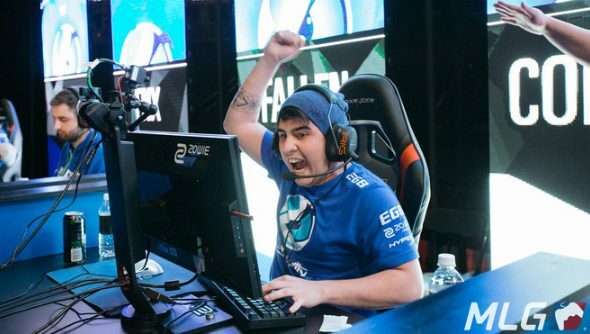 The hold completely broke Liquid’s spirit and turned momentum in Luminosity’s favour which held long enough to give them 10 rounds in a row to clinch the first map. The second map began a lot like the first, Liquid took a commanding lead and their own players began beating almost impossible odds to keep their spirits up. Early into the match,Spencer “Hiko” Martin was tasked with retaking a site with four enemies defending it and doing it in time to still defuse a ticking bomb. The feat was so impressive, his young Ukrainian team-mateOleksandr “s1mple” Kostyliev left his seat at the other end of the stage to come up and congratulate him. Sadly it wasn’t enough to put the American side through to the finals, where Luminosity will now face Ukrainian team Natus Vincere tonight for the $500,000 top prize.